When Vassilis Zarifis enrolled his eldest daughter in primary school in a leafy north London suburb, he knew the choice of school would have a huge impact not only on her life, but on his as well. “The most important thing in our life is our children, and the most important thing you can offer children is their education,” says Vassilis, 46, who has two daughters aged 5 and 7. 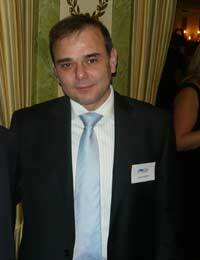 Vassilis, who is the director of a business marketing and IT firm in London, decided that the best way he could personally help the school was to become a governor. He was already on the board of the PTA, but felt that wasn’t enough. Problem was, all the parent governor spots were taken. So Vassilis became an Associate member of the governing body, which means he doesn’t have full voting rights but can still joint different committees and have an influence on the school. He hopes to be voted in as a full governor eventually. As part of the governing body structure, different committees are set up that deal with such issues as staffing, finance and curriculum. Vassilis says he “would have loved to be on the all the governing body committees, but because of time I could only be on a few. So I chose to be on the ones where I think I can offer most to the school. “Those are the Finance Committee, (as I am trained in business management and I have a MBA), and the Environment and Premises Committee, as I have engineering training as well. He adds that he is also hoping to become a Link Governor, who has responsibility for overseeing links with a specific area of the school. Vassilis is also hoping that his career as a governor, which only just started, will be a fruitful one and help make a difference to the school. “I hope to serve the school, to help keep it the best school in area. If I can do something to help the school maintain its status and reputation, I will be very happy,” says Vassilis, who came here from Greece in 1989. “I think now that it is an excellent school which deserves it reputation. My wife and I are happy to have our children in a school where parents care about their kids and their education, a school that has very devoted teachers, and a school that has a headteacher who has made the school her life, really. He is adamant that he hasn’t seen anything that he hopes to change. “I haven’t seen anything negative yet, nothing major, nothing that has to be changed. “The whole premise of an excellent school centres around the will of the people, the parents and the staff, what they have in mind for the school’s future,” he says.